Numbats are one of the more unusual Australian marsupials - unlike most of our native species they're active during the day, are carnivorous, have an incredibly long tongue and their diet is almost exclusively termites. Their expert noses can detect subterranean galleries of termites and, once located, use their long tongues to delve deep underground to feast. It has been estimated that a numbat eats between 15,000 and 20,000 termites each day. At night, numbats take refuge in logs, tree hollows or burrows, which help protect them from predators such as foxes and feral cats. The numbat once populated much of southern semi-arid and arid Australia, extending from the west coast to northwest Victoria and western New South Wales. By the 1970s, numbats had disappeared from most of their range (99%), surviving only in small areas of southwest Australia. Sadly, this means they’re now considered endangered and it’s estimated that today there are less than 1,000 mature individuals left. Widespread clearing of prime numbat habitat and predation by feral predators have been the main drivers of their decline. Did you know that 'numbat' is the Noongar Aboriginal name for the species? Numbats are small, elusive, and shy, so our conservation team in Western Australia is working with partners to determine how they're faring in the wild. Once we have a proper estimate on their numbers we can then work to protect them. Partners include: Coles Supermarkets, WA State NRM, WA Department of Biodiversity Conservation and Attractions, Murdoch University, Warren Catchment Council, Blackwood Basin Group, Project Numbat, and Numbat Task Force. With the help of our supporters, WWF and its partners hope to better understand where and how many numbats remain in WA. No specialised background needed! We just need eagled-eyed wildlife lovers to look through remote sensor camera images on the Zooniverse website and identify numbats and other interesting animals, many of which are also threatened. Numbats are the faunal state emblem for Western Australia, so it’s vital that we protect these iconic animals for the future. The Warren region in south Western Australia supports the largest remaining population of endangered numbats and is one of only two natural populations remaining in the world. While we believe there may be less than 1,000 animals alive today, having a more accurate population count, and determining their distribution and addressing why they are declining, is critical to their future survival. The problem is, even though numbats are active during the day, they’re very difficult to survey. Their small size, solitary nature, large home range (a male home range is about 50 hectares) and dislike for going into traps, means that until now it’s been extremely hard to monitor individuals. New technological advances in remote sensor camera technology means that we now have a fantastic opportunity to use ‘remote’ technology to gather essential information to ensure their survival. The numbat’s habitat is generally dominated by eucalypts that provide it with hollow logs and branches for shelter. Numbats have long, slender sticky tongues (approx. 10–11 cm long) that they use to flick into narrow cavities in logs, leaf litter and in small holes to collect termites. Today feral cats and foxes are their biggest threat, and without proper predator control we will probably see their population continue to fall. • Sign-up to Zooniverse and help us count and identify numbats captured on our remote sensors. • If you see a numbat in the wild send in your sightings with the date, location (GPS), and your contact details to the Department of Biodiversity Conservation and Attractions. • You can donate to WWF to help us protect endangered species like numbats. 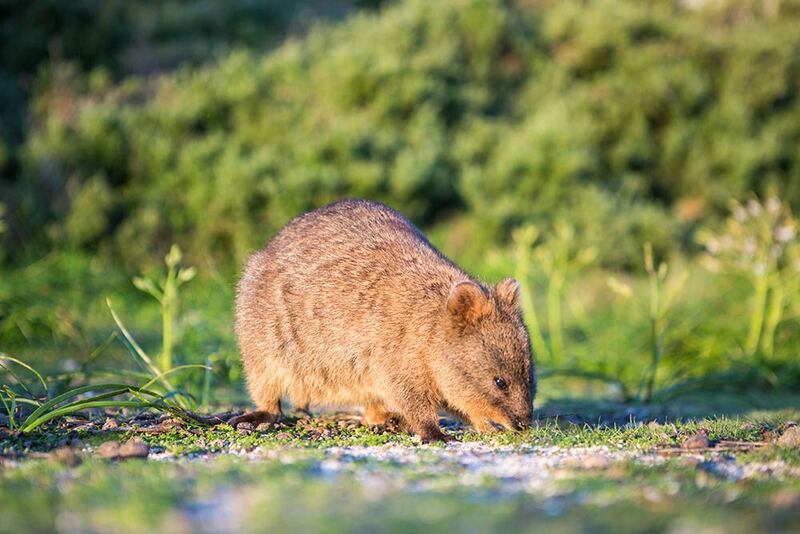 The world's happiest animal - the quokka - is vulnerable, but WWF-Australia's help is at hand.